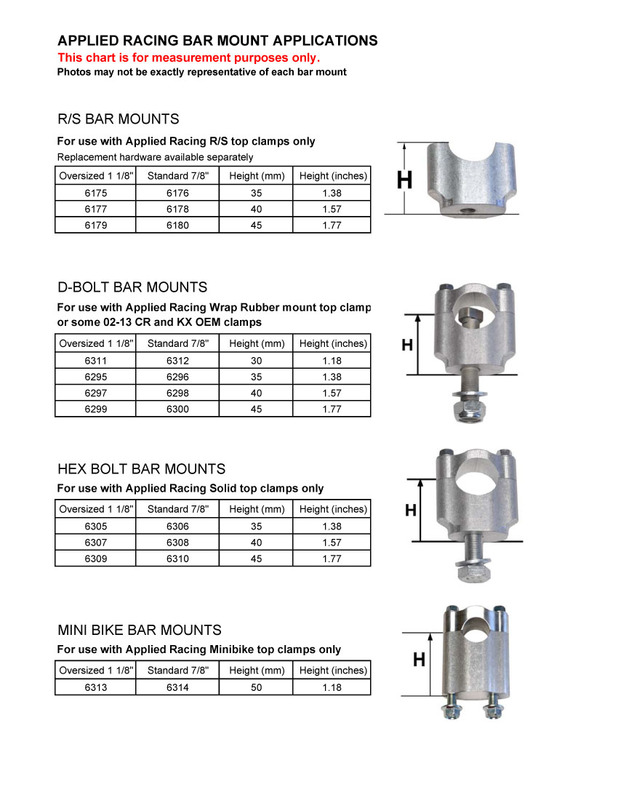 Below are the bar mounts made for the Applied Racing triple clamps. A substituion may be made at time of order at no extra charge. 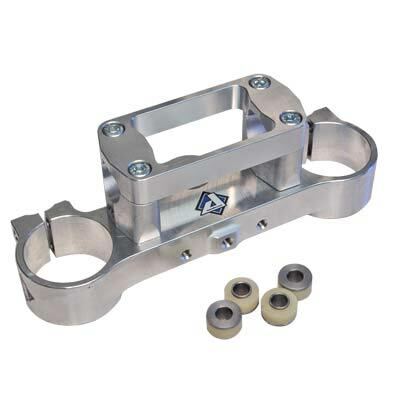 Check with a salesperson to determine which mounts are standard in the kit/set to determine the options available.